The Cleveland bedsore injury attorneys of Nursing Home Law Center LLC represent seniors who have endured untold suffering from advanced stage pressure ulcers while under the care of nursing facilities. There is no valid excuse for the progression of these wounds because of how easy it is to identify them, treat them and to prevent them from forming to begin with. If your loved one has been hospitalized due to complications linked to a pressure sore, we are prepared to fight for justice on your behalf so that you have the compensation you are entitled to. Cleveland is the second largest city in Ohio with a population of over 388,000. Its senior population comprises 12% of the total and the addition of residents aged 50 years and older is going to cause this segment to swell over the next decade. There is a strong demand for senior services and assistance programs tailored to helping the elderly maintain their independence for as long as possible. Those seeking a senior center which offers recreational, educational and social programs to remain physically active and mentally sharp should check the Cleveland Senior Citizen’s Guide to locate a senior center closest to them. The numerous centers located throughout the city help ensure that every aging resident will have access to a senior center at a location that is easy to reach. To view the complete list of senior centers, visit http://www.seniorcitizensguide.com/cleveland/listings/seniorcenters.htm. There are 121 nursing homes serving the Cleveland area and only 23 of them have received perfect Medicare ratings. What is most disconcerting, however, is that 69 facilities —more than half of the facilities in the city— received three stars or lower. If there were ever a reason for people to hesitate to place a person they care for into a nursing facility, this data would affirm it. Luckily, there are facilities capable of delivering the standard of care you expect and they are easier to find than you would suspect. 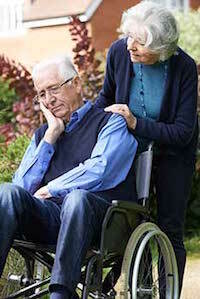 Our Cleveland pressure sore lawyers direct people to the Medicare nursing home compare tool at https://www.medicare.gov/nursinghomecompare because it allows them to access all of the critical information they need to eliminate negligent facilities from their search. From staff quality grades to a comprehensive history of fines and health inspection results, you can find everything you need to avoid poor facilities and have faith in the one that you choose. After witnessing a steady rise in the number of nursing neglect cases, a line needs to be drawn in the sand if we want to protect our loved ones. Changes in funding, laws and regulations over the last two decades have permitted the rise of the for profit nursing home and this has been a detriment to the entire industry because of the implementation of strategies to reduce overhead through staff reduction and minimal investment in programs essential to ensuring patient comfort and safety. If a patient is suffering from an advanced stage bedsore, it is likely he or she has been neglected for some time. It only takes minutes of attention every two or three hours to prevent a pressure ulcer and just as much time to treat existing early stage sores. Patients with sores that have progressed suffer from open wounds which are liable to become infected and require debridement in order to promote healing. The infections could threaten their lives. This is a dire situation for patients and there should be no reason that a facility lacks the manpower to prevent such occurrences. Holding facilities financially accountable for neglect will make others reconsider their own staffing policies. Nursing Home Law Center LLC is prepared to fight on your behalf as we have for thousands of nursing neglect victims in the past. Contact us today to arrange a consultation with one of our award winning Cleveland bedsore injury attorneys so that we can discuss your legal options in greater detail. If we are unable to secure compensation on your behalf, our services will be free of charge. Should you have questions about Ohio law related to pressure sores, view our page here.